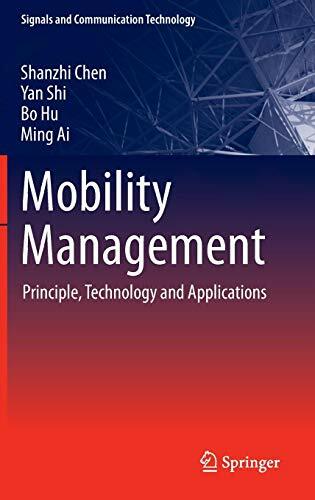 This is the first book devoted to mobility management, covering the important principles, technologies and applications of mobility management based on years of academic research and industry experiences. The content is organized according to the reference models proposed by the authors, and emphasizes on technical principles rather than protocol details; a systematic and comprehensive introduction is presented yet without losing focuses; the existing technologies in cellular system, mobile Internet and IMS/SIP are also extensively compared. This book can be an indispensable reference for mobile communication engineers, computer network engineers, researchers and anyone else involved in academic, industrial and standardization activities on mobility management.